Abrasives | R.J. Kates Co.
R.J. Kates sells Flexovit abrasive products including bonded abrasives, coated abrasives, non-woven abrasives, carbide burs, wire brushes, diamond abrasives, and accessories. 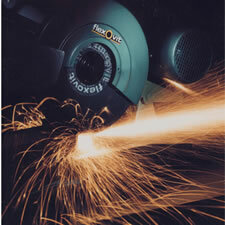 Whether you are sanding, polishing, cutting, grinding or sharpening check out or line of Flexovit products. R.J. Kates is a supplier of Walter products: high productivity power tools, abrasives, tooling and chemical tools for the metal working industry. 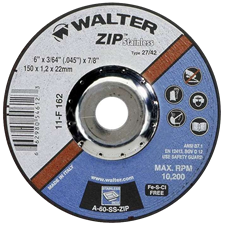 The J. Walter Company Ltd. has been supplying high productivity tools to the USA industry since 1952. 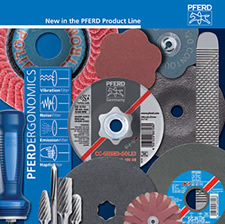 R.J. Kates is a destributor of PFERD abrasive products including grinding, cutting and surface finishing tools. And a complete range of ADVANCE BRUSH power and maintenance brushes. PFERD’s goal is to offer “single-source” solutions for hand finishing, grinding, cutting, and specialty applications.